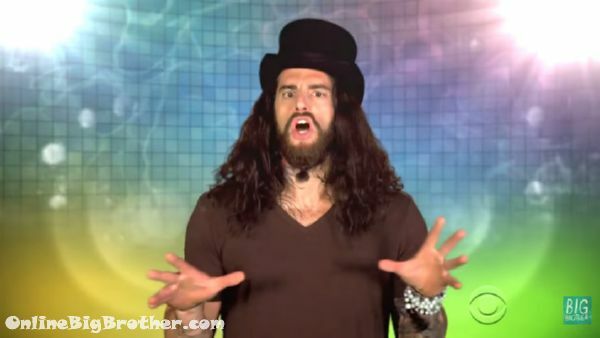 Big Brother 17 Commercial Featuring the New House Guests & "BB Takeover" Twist! 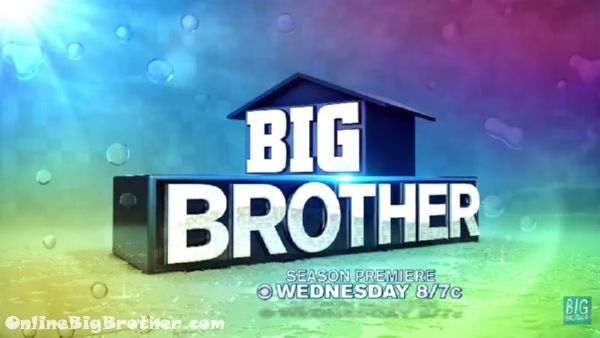 A new Big Brother 17 promotional commercial was released featuring the 14 new house guests and referencing the “BB Takeover” twist. 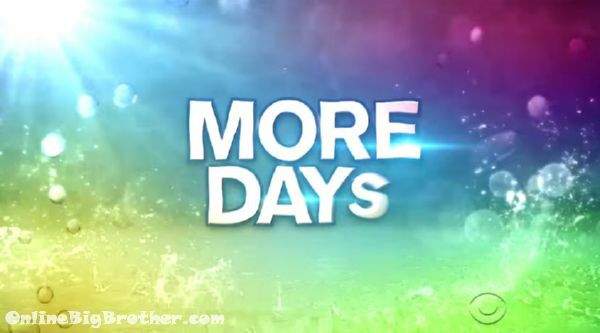 The Commercial boasts more cameras (4 More), More Days (Feeds starts June 25 and end Sept 23rd) and More twists. With less than a week before the first of the Two-Night première make sure you subscribe to live feeds. The 1 week free trial will give you access to all of the episodes from the past 16 seasons including 6500 other CBS shows. 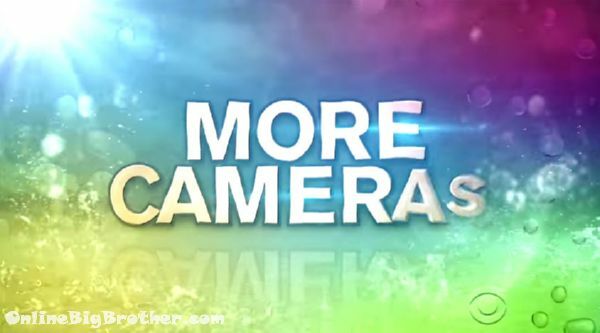 This summer Big Brother gives you more cameras, more days and each week more surprise guests who will take over the house and unleash more twists than ever before! 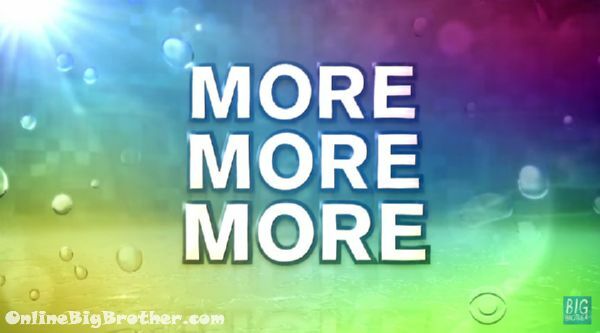 Julie Chen “All the more reason to watch!” Get More, More, More out of your summer! 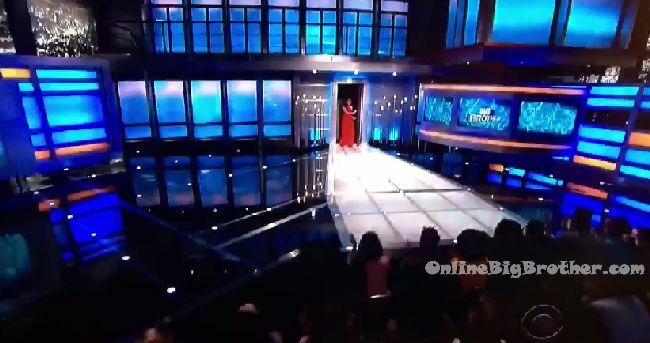 Julie Chen hosts Big Brother Takeover! Season Premiere Wednesday June 24th at 8pm on CBS! This is probably an unknown question, but does anyone know if they are bringing back 2 returning HG’s to play? It’s all speculation right now. They must be adding some players because 14 to begin is not enough unless they are doing an “Exile Island” type twist where evicted house guests have a chance to get back in the house. Anything is possible. Some people are positive there will 2 more houseguests due to there being 16 chairs and plates and the table and 16 slots on the memory wall.. Guess we’ll just have to wait til the premier to find out for certain. Hope not unless its someone I like LOL! I’m shocked and appreciative BB laid off the typical myriad of meathead jocks and ditsy models. I’m still not a fan of this twist but at this point have to give it a chance because heaven knows I’m gonna watch this season and let BB Mania take over my summer like usual. I’m praying these HGs have watched the show before and not being prepped when given the last seasons is sequester. Will be watching and following this site as usual! Thanks in advance for all your hard work! Hey guys … Any info on Canada getting the live feeds …. I’ve just been waiting it out for some sort of news … I know 2 years ago they didn’t let Canadiens get live feeds until a couple weeks into the season. players don’t be shocked if they add 4 players. After watching these my perceptions of people have changed. Audrey, Austin (Judas), Da’Vonne, Jace, Jason, Steve, and Vanessa seem like the HG coming in with a real game plan. Liz was talking about not being a Floater before she’s even stepped in the house. She obviously doesn’t understand what a Floater is (never heard of Jun Song Liz?) Liz will be the Talla of this season I think. Meg is going to annoy HG being so happy… all the time. And I can’t help but think of Family Guy when I see her. Shelli, Clay, and James just seemed so clueless in their interviews about the game itself. Becky is a Becky, and will probably fade into the background or be forgotten by her HM. I haven’t made my mind up about Jacob, but that laugh though… I’m starting to think he’ll be more entertaining. I’m surprised how many HG this season mainly reference about season 16 HG. But everyone has time to redeem themselves. One of these seasons the big twist is that there will be no twist at all. What are the chances that only those who watch the feeds will be asked to make certain important decisions about the game? I honestly wish for a year with old houseguests who have never seen the show. Like in early seasons. Guys, this site it´s the BEST. Some trash sites and foruns are very popular but only for maniacs and sick people. finally we have some intelligent HG´s. The Vanessa Wiki entry it is very impressive…let´s see! I saw the “Interview” by Rachel Reilly and GOD what t a nightmare! Rachel, Please, leave the HG´s ALONE! Britney – here jokes are comic gold. Can never have enough laughs! Bad season but what a great season on coaches loved every sound bite! Amanda – just seeing what she’d do next on a visit could be BB gold. Gina Maria – I thought her game was terrible got carried to 50K racism and all. She’d show her azz hard might get a reality check…. in her case less likely. Shane – based on guessing only, Dan will pop in at some point and who better to explain a real BB Funeral than Shane. 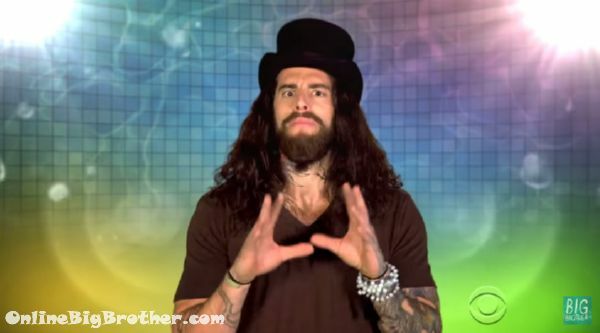 Oh if Danielle had brains a very good person to explain how to throw away 50K BB style as well. That’s 3 and 4 with control so bad…..
Shelly (13) – she could teach a mean float game. After the BB 16 sleep fest we need action not consensus. Frank – You wanna see competitive and loyal in the BB dictionary that’s the guy whose picture is there. There are plenty more for just a day… I said a day ONLY. hehehe I think some will be longer sadly but the cast has promise. I said that early in BB Can 3 was I wrong. Lastly I second a comment above… what if the twist is no twists how refreshing. it is very clean here, unlike pretty much everywhere else that discusses and follows BB. I love how consistent the site is, same every year and that is a great thing. Dawg for Fav HG so far! Any word on if we Canadians are getting the live feeds yet? I know we get afterdark every night on Slice for 3 hours. That’s gòod, but feeds would be optimal ! So far Canadians have to jump through a lot of hoops to get the feeds. 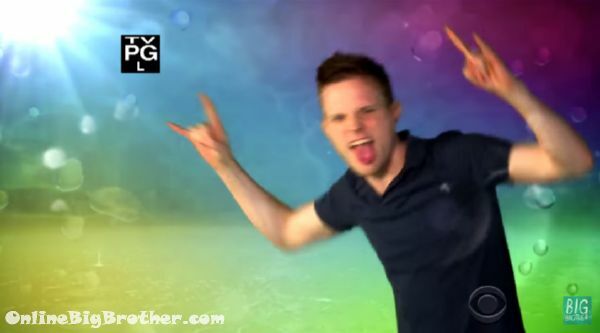 Pwo more are coming from The Amazing Race. Two more people are coming from the Amazing Race show. Jace is a big tool and Vanessa is already looney tunes !!!! Good start !! !